MINNEAPOLIS (AP) — A Minnesota judge abruptly dismissed charges against three climate change activists during their trial on Tuesday, saying prosecutors failed to prove that the protesters’ attempt to shut down two Enbridge Energy oil pipelines caused any damage. Clearwater County District Judge Robert Tiffany threw the case out after prosecutors rested their case and before the protesters could use their defense: that the threat of climate change from using crude oil drilled from Canadian tar sands was so imminent that the activists’ actions were not only morally right, but necessary. The attorneys had long fought to use a “necessity defense” during the trial of the three Seattle-area residents, two of whom admitted turning the emergency shut-off valves on the northwest Minnesota pipelines in 2016 as part of a coordinated action in four states. Such a defense has been used by other activists protesting pipelines. Climate change activists have increasingly turned to direct actions against oil and gas pipelines, with mixed legal success . Valve-turner cases in other states resulted in convictions that are under appeal. A Massachusetts judge in March cleared 13 gas pipeline protesters who used a necessity defense. While the cases generally have not set binding legal precedents, activists are hoping they help legitimize direct action as a tactic against climate change. In the Minnesota case, Johnston and Annette Klapstein readily acknowledged turning the emergency shut-off valves on two Enbridge Energy pipelines on Oct. 11, 2016, near Leonard, about 210 miles (338 kilometers) northwest of Minneapolis. A third defendant, Ben Joldersma, called in a warning to Enbridge. Charges were earlier dropped against a fourth defendant. “The individuals involved in these activities claimed to be protecting the environment, but they did the opposite and put the environment and the safety of people at risk — including themselves, first responders and neighboring communities and landowners,” the company said. 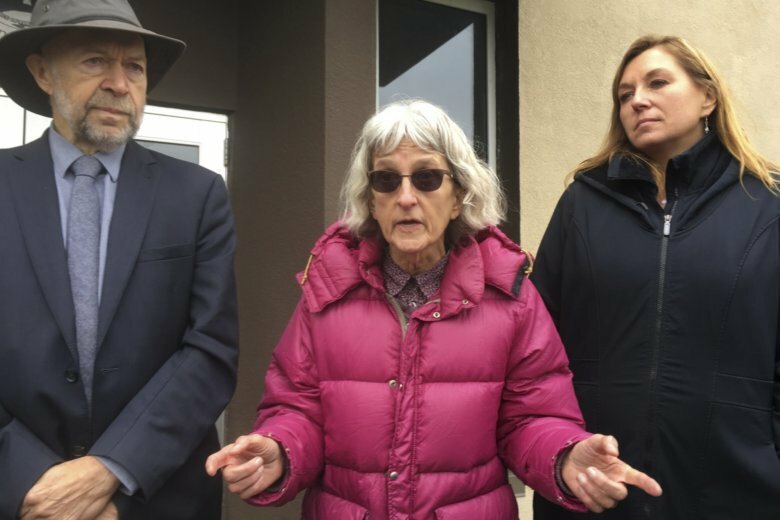 “We did everything in our power to make sure this was a safe action, and we did this to protect our children and all of your children from the devastating effects of climate change,” Klaptstein said at the activists’ news conference afterward.